Cake is coming in all sorts of different forms nowadays. You are probably familiar with the popularity of cake balls and cake pops but have you seen the newest trend to come around, cake push-ups? I just recently discovered these when I was looking through a baking catalog. Remember the sherbert-filled push-ups that we used to eat as kids? Well, the new trend is to take plastic push-up containers and layer them with cake and fillings to make a beautiful layered dessert. I just loved this idea so I couldn’t wait to try it out. Where do you find these containers? There are several different on-line baking stores that sell them but I got mine through Amazon.com . Read on and find out how to enter my giveaway and possibly win your own set. We were having a dinner party with some friends, to celebrate my daughter’s birthday, so I thought this would be a great opportunity to try out my new find. The possibilities of flavors and filling combinations are practically endless so I decided to focus on a candy theme and narrow it down to three different combinations. Below is a tutorial on how I assembled the push-ups. I usually always start out my cake projects with some sort of a sketch so that I have something to refer to and can figure out how the end result is going to look before I start making anything. The three flavors I decided to go with were peanut butter cup, candy corn and M&M’s. This tutorial will focus on the peanut butter cup push-ups so below is the list of supplies you will need for these. Use the circle cutter to cut out three circles of cake for each push-up. 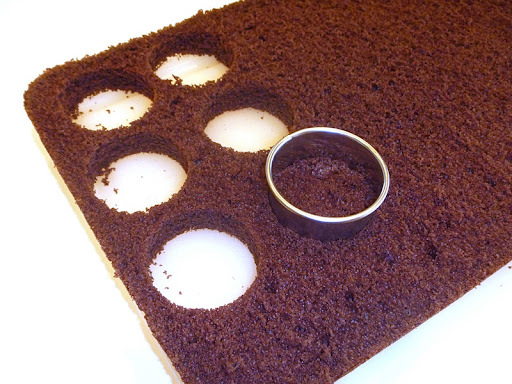 I have also seen where some people make mini cupcakes in a mini muffin pan and use those in place of cake circles. I personally don’t like the look of those as much but that is another option. Click here for an example of what that looks like. Stick the push-up container into some styrofoam and then start by placing a cake layer on the bottom of the container. Fill the decorating bag with the icing then pipe a layer of icing on top of the cake. Here is how it looks from overhead. Next, add a layer of chopped up peanut butter cups. Then another layer of cake. A final layer of cake. 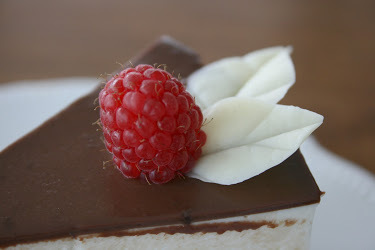 Then top it with one more layer of icing and stick a peanut butter cup in it for garnish. Doesn’t it look yummy? Here is the candy corn push-up. For these I used a white cake batter then added food coloring to color a third of the batter yellow and two thirds of the batter orange. I baked them in separate, smaller cake pans to get the different colored cakes. For the candy layer I cut candy corns in half and placed them around the side of the container. 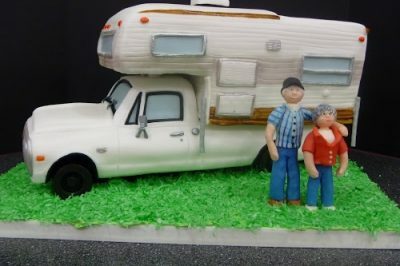 The icing was buttercream. This is the M&M push-up. I used a Funfetti cake mix for these and food coloring to color buttercream icing green, blue and yellow. I just used the M&M’s on top for garnish. The nice thing is that each container comes with a lid so you can seal them up and not worry about them drying out. Plus it makes them easy to transport. 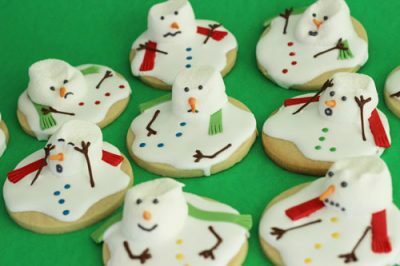 When you are ready to eat them just remove the lid, push them up with the stick, and eat one layer at a time. My solution worked great. About 20 minutes later my husband returned from his shop with this. I plan to paint it for future use but since my company was coming in just a few hours and I still had more to do, I just covered it with some green wrapping paper and stuck the sticks of the containers through the paper into the holes. And since it was my daughter’s birthday dinner, I left one of the push-ups uncovered and stuck a candle in it for her to blow out. So, what was the final verdict on the new cake push-ups? Just be sure that no one throws your containers away because they are reusable. You can set out a bucket for guests to place the containers in after they eat them. Now, I know that you are as excited about these push-ups as I am, so I also know that you are going to be excited to find out that I ordered some extra ones to give away. I have a set of 16 push-up containers that I will give away in a drawing on Monday, November 7th. To enter this drawing you need to go to my Facebook page, “like” it if you haven’t already, then leave a comment on my FB wall. I will also give you a second entry if you share the link to this entry on your FB wall, just mention to me in your comment that you shared it. Good luck! ooh, i loved push-ups as a kid. what a great idea! thanks for sharing! So glad you like them Agnes. Be sure to post a comment on the Facebook wall and maybe you will win a set! Can you kiss the back of your husbands neck and get me a stand too? 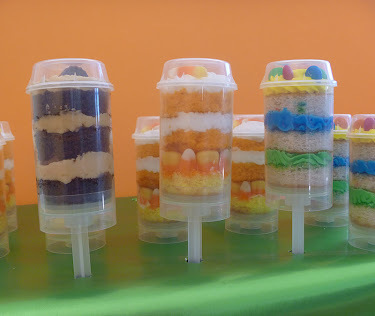 Congratulations to Linda Drew on winning the cake push-up containers!